Friday’s Foto Fun – Puppies! Again! I’m interrupting my vacay with another installment of Puppy Fridays! Y’all enjoy. I’m going back to my vacation with Sniglet. I hope I can sneak back under the fence before she gets wind of this latest puppy photo. They look like little sausages don’t they? Leave it to me to compare Scottie puppies with food. WOOOOOT! Be back next week. Don’t miss me too much. Why not snoop around in the archives until I get back? Yeah. Do that. This entry was posted in The Scottie Chronicles and tagged photography, photos of puppies, puppies, Scottie puppies, Scotties. Bookmark the permalink. 15 Responses to Friday’s Foto Fun – Puppies! Again! that’s great! the pup on the right side is the leader who holds the pack together :o) have a super weekend! Mom here – too precious for words! Don’t worry you three, you’re safe from adding to our brood. We are too far away. Just lovely ! Oh, one looks just like me when I was that little. Before long, they’ll be AROOOOOing. Puppy pics are always the best. I agree with Dakota/Caren/Cody — they are Adorable!! – Hope you are behaving yourself at Sniglets – after all you want to be able to back – – so play nice!! – Cherry, Shadow & Humphrey! Oh Stu, thank you for the pictures! These little darlings are too PRECIOUS!! Cute little sausages all right! You better not get into any trouble Stu! Have funsies with Sniglet! Hope your Momma has a great time too! P.S. Where are these little cuties located? Far from California? Adorable, but I think about how adorable Sophie was as a wee one and the terror that she has become. Puppies are for very young people. Yes, Stuart, they do look like sausages all snuggled together. 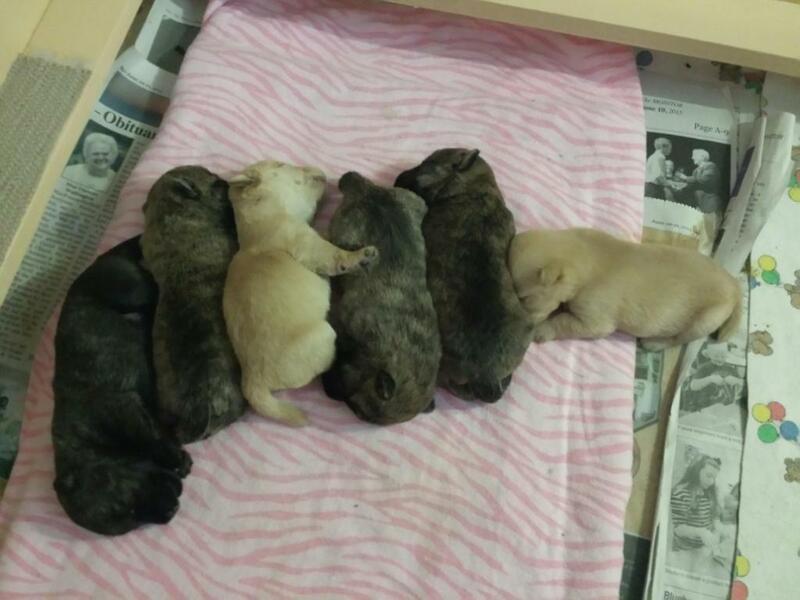 They could be known as the “Jimmy Dean Litter”. Hope you and Sniglet are having a good time. Do you both snoopervise his Peeps?